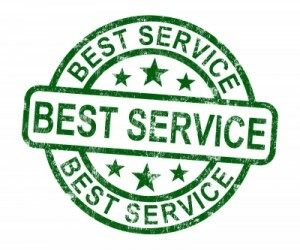 If you’re in Kennedale, who should you turn to for brake service? Are you in Kennedale? We suggest you bring your vehicle to us for brake service! It’s the family minivan. Or your teenager’s starter car. Maybe you’re thinking about the company car or your husband’s truck. Whether you work or live in Kennedale, brake service is important for all your vehicles. We recommend that you have a regularly scheduled brake maintenance service every year. You do a lot of driving – throughout the Metroplex and in Kennedale. Brake maintenance is important. After all, the safety of you and your passengers rely on the integrity of your brakes. When you brake, do you hear a squealing sound? Worse yet, do you hear a grinding sound when you go to brake? Do you find it harder to stop? Do you have to apply more pressure on the brake pedal for a longer period of time to get your vehicle to stop? If you’re answering yes to any of these questions, it’s probably time for you to have a brake service done on your vehicle. We would like for B&M Auto Specialists to be the only place you think of when it comes to brake service. While we are not located in Kennedale, here in Mansfield, we are practically next door neighbors to Kennedale. Why not schedule an appointment for a quick brake inspection? Our garage is only a few minutes drive from your home or business in Kennedale. Any of our highly trained mechanics will be glad to give you an honest and fair assessment of what, if any, brake service is needed for your vehicle at this time.